Desserts you can't live without! This “Easy as Breeze” post is sponsored by Almond Breeze Almondmilk. For more “Easy As Breeze” recipes made with five ingredients or less, visit Almond Breeze on Facebook, Twitter, Instagram and Pinterest. I can’t help but pump out some amazing ice pop recipes. This heat has me wanting all the chilled desserts I can get my fingers on. 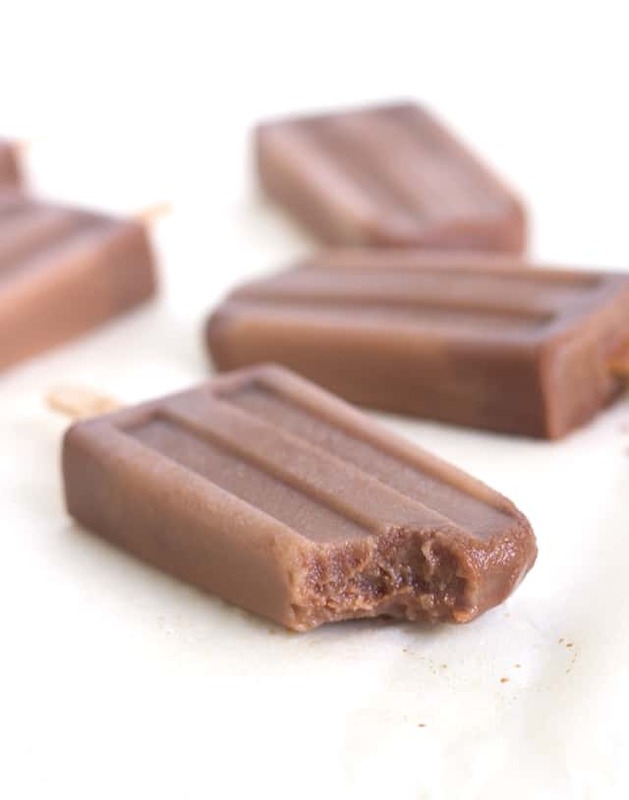 Since I can’t get enough of any kind of coffee, I made some mocha pops. They’re super addicting, I’m not going to lie. I ate them all. No regrets. Sign up to get my FREE Baking Substitutions and Conversions sheets! Join the 5000 others who are receiving our dessert newsletters and baking challenges. (aff. link). If you don’t have a mold, pick up a pack of dixie cups and some sticks. It will serve the purpose. I like simple and laid back on days where I feel like it’s too hot to move especially when the finished product is the most refreshing dessert ever. 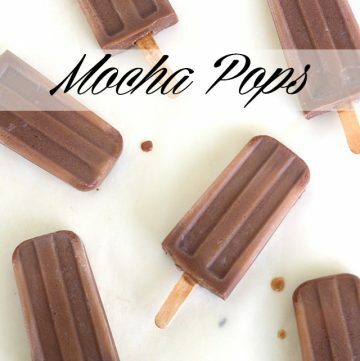 These mocha pops kind of remind of the fudge pops I used to eat all the time as a kid. Except these are packed full of coffee flavor. They also have the smell of a freshly brewed cup of coffee. Who doesn’t love the smell of freshly brewed coffee? Even my husband loves the smell and he can’t stand the taste of coffee. Yeah, apparently there are people that don’t like coffee. 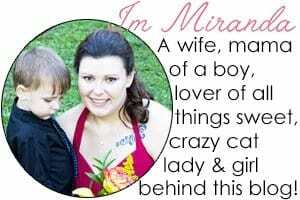 Strange, right? Brew a strong coffee. I used a dark french roast. While the coffee is very hot, add in the milk chocolate chips and sugar. Let it sit for a minute or two. Start whisking together the milk chocolate chips and the coffee. If it has some small specks of chocolate, it's fine. Add in the chocolate almondmilk and whisk until incorporated. 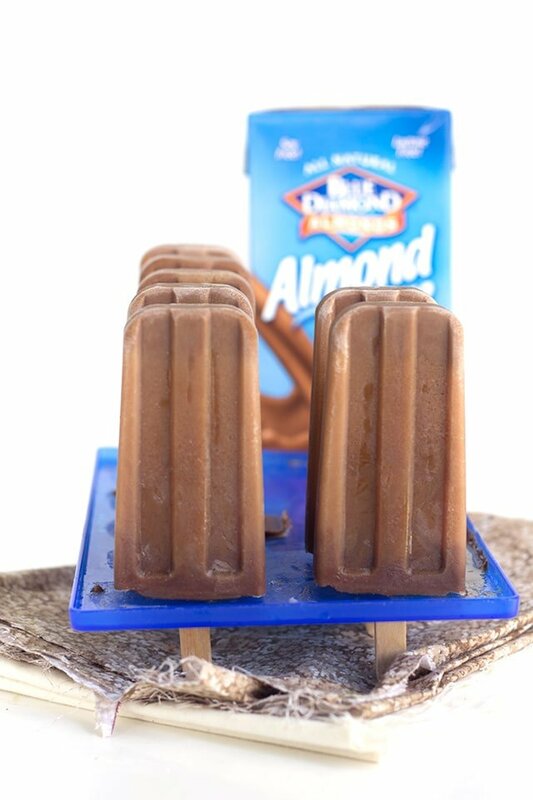 Pour into the ice pop mold. Run the sticks under water and place them in the mold. Let freeze overnight. 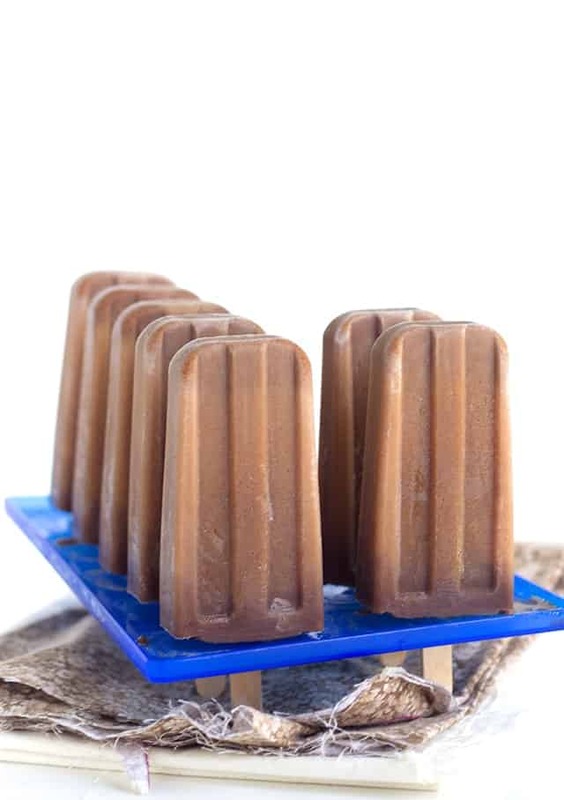 Run hot water on the bottom of the ice pop mold. 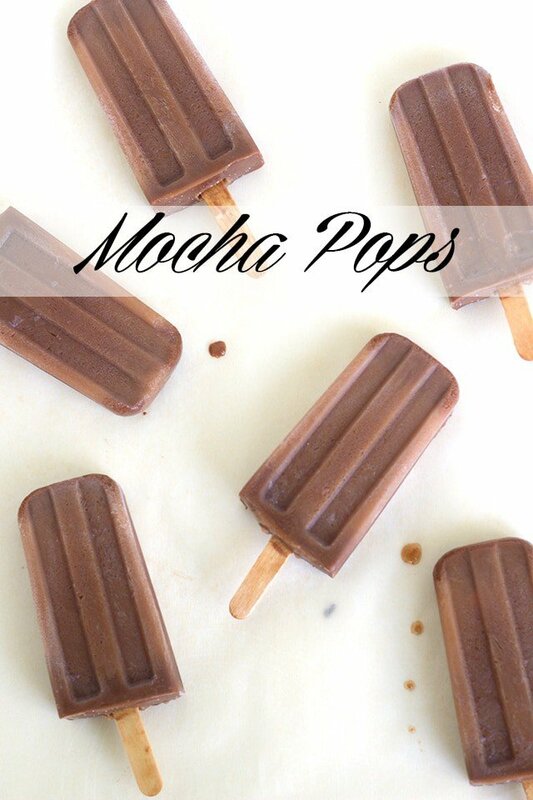 Enjoy the refreshing mocha pops immediately. Store in a freezer safe container. Get Desserts Delivered To Your Inbox Today!